Smart Money Magazine has reported that, the buyers, value a landscaped home up to 12 % more than its base price. This is better because you will receive a better price for your sweet home by setting up a lovely garden surrounding your home. Making up a garden will not only give you a better price, but will also give you a better health. In Canada, Quebec’s Laval University has researched with about 760 houses with and without landscaping. 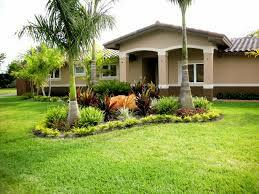 This study has found that homes with proper landscaping had a substantial command in the market. Money Magazine says that, proper landscaping your surroundings can be one of the most efficient ways to make your house look beautiful from outside and also emphasizes the value added by the trees. Another study by Aspen Environment has proved that landscaping investments have been recovered always and also it will reduce the run for the sale of the property. There is a close link between the property value and the parks, green spaces and greenbelts. A study has proved that property values have decreased by about $4.30 for each footstep away from the greenbelt. So have more green around you and improve your finances. Green Earth will always bring a smile to your face. It will not make you regret like other non-degradable ways. According to a study by USDA-funded, the Green Industry is one of the fastest growing segments in the United Nation’s agricultural economy. Its impact was such that, output was $147.8 billion, $6.9 billion in indirect business taxes, labour income was $64.3, $95 in value added. It has also provided jobs for 1,964,339 people. Those large numbers will show us the importance of green Industry in a country. A recent study made by a University in the Roadside has stated that, the drivers indicated that, it is easier to locate the roadside businesses, when they are framed by vegetation and trees. When we have a proper landscaped area for our business, then people tend to come more. The green in the surrounding will make the customers happy, peaceful and will make them come again. The study has also proved that, the customers tend to pay, on an average of 12% for goods that are kept in proper landscaped areas. It also states that small businesses choosing a new business spot can be set up with some green and flowers to draw in more customers. 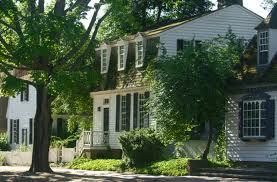 A recent report by California Energy Commission have proved that planting trees will reduce our AC bill. Are you wondering, how? Then it is like, when you plant trees and other plants in your surroundings, it will keep your home warmer in winter and cool in summer. Planting the right type of tree for your surroundings will decrease your energy consumption by about 40%. A computer model devised by the U. S. Department of Energy predicts has shown that, proper placing of three trees in the right places will save the average household between $150 to $200 energy costs annually. Even lawns can be used to cool down the temperature. It is 30 times cooler than asphalt and 14 times cooler than the bare soil, and the cooling effect of the lawn is equal to about 9 tons of AC, annually. When do we really become satisfied of our job? Well, it is when we have peace of mind in doing our work. A study has proved that having plants in the workplace will decrease the work pressure and bring job satisfaction than the workers who sit with plastic plants. The report also says that fewer headaches and other disorders are seen in people who work with plants in their surroundings. It also provides a sense of rest and makes the workers more productive. Green Places are liked by most people. Having a green country will not only draw a lot of tourists, but will also make their mind calm and healthy. This would be the main motive of their vacation. The holy places in India are covered with natural vegetation and hence are visited by many tourists.Trees are free standing anti-flood reservoir. A report has stated that in some cases intercepting more rainfall that’s about 1500 gallons of water evaporates even before hitting the ground. So when you chop down the trees, water is going to flood the city and will make it very difficult for the drainage system. These were some of the economic advantages of green earth. There are lots more advantages, which will tempt us into green living. Green living is a better plan and everyone should adopt it because we want a better life for our future generation and for our Earth. It will always bring a smile in the face of the customer and the seller.